Superdry women’s Maddox sporty bodysuit. 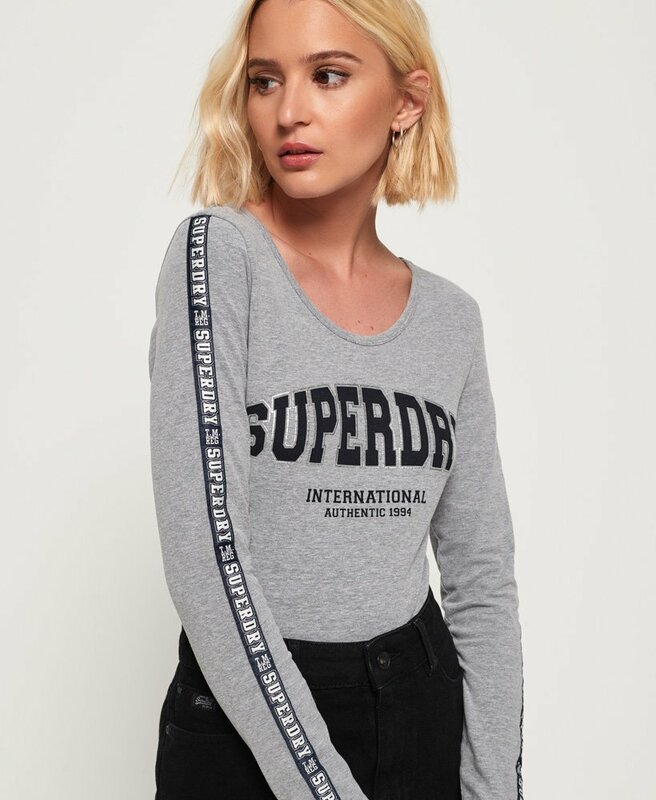 This long sleeve bodysuit is perfect for a fashionable layering piece, featuring a large Superdry logo across the chest and Superdry panelling along the sleeves. The bodysuit also has popper fastening to secure. Team this bodysuit with your favourite jeans or add a skirt for a day to night look.